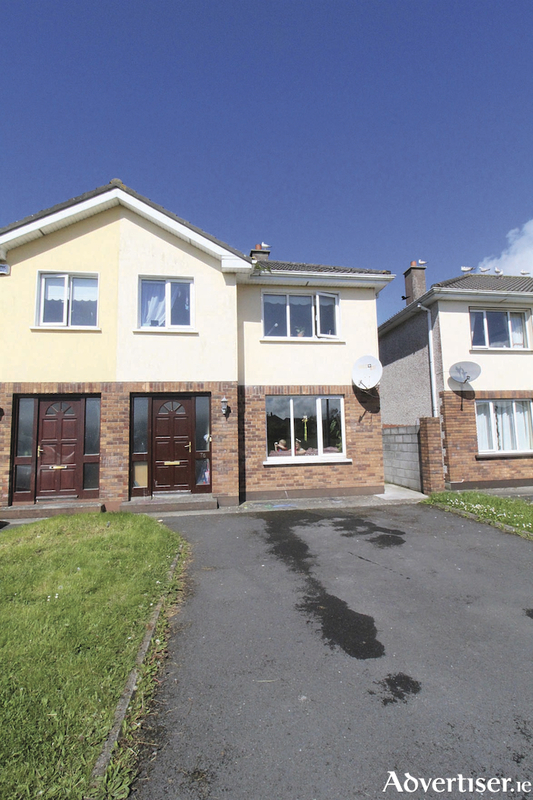 O'Donnellan & Joyce is offering for sale a four bed semidetached residence on the east side of Galway city at Gleann Rua, Renmore. This is a superb location offering exceptional convenience for modern day living. The property is within walking distance of GMIT, Merlin Park Hospital, Ballyloughane Beach, and a wide selection of shops at the Wellpark and Briarhill shopping centres. This deceptively spacious four bed semidetached residence was built in 1999. The property enjoys an excellent position in the estate overlooking a large green area to the front and is not overlooked from the rear. The downstairs accommodation comprises an entrance hall, downstairs toilet, lounge room with feature fireplace and open plan kitchen/dining room. Upstairs there is a main bathroom and four bedrooms, with the master bedroom en suite. Outside there is ample off street parking, gated side access, and a private rear garden with paved patio and lawn, which is not overlooked. This property would be ideal as a gilt edged investment due its convenient location close to GMIT, Merlin Park Hospital, Bon Secours Hospital, and the Galway Clinic. The BER is D2. Asking price is €260,000.